The concept of “anti-Muslim bigotry” is actual; the term “Islamophobia” is intended to silence critics of that jihadist doctrine. 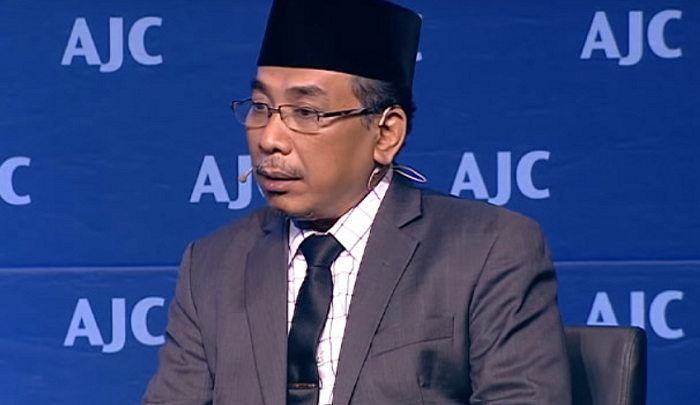 Yahya Cholil Staquf has had the courage to identify jihadist violence as stemming from Islamic tradition and teachings. The senior member of the world’s biggest Muslim organisation has insisted that Islamophobia is not rooted in racism and that the distrust of Muslims in many countries is a result of Islamist extremism and Islamic terrorism throughout the world. “The truth, we recognise, is that jihadist doctrine, goals and strategy can be traced to specific tenets of orthodox, authoritative Islam and its historic practice. This includes those portions of sharia that promote Islamic supremacy, encourage enmity towards non-Muslims and require the establishment of a caliphate. It is these elements – still taught by most Sunni and Shiite institutions – that constitute a summons to perpetual conflict,” he wrote…. Everything will be alright now. Isn’t that wonderful?